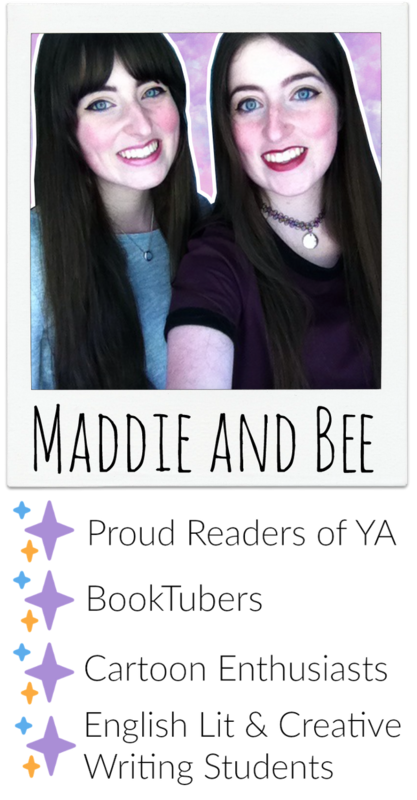 We’re Maddie and Bee, 20 year old twins who are English and Creative Writing students and love to read, write and share our thoughts! The Blog is dedicated to reviews and any other bookish posts! We mostly read Young Adult fiction, and graphic novels with female protagonists, with the occasional foray into Middle Grade! We started this blog in 2013 and have reviewed pretty much every single book we’ve read since then, so our review indexes are ridiculously long! The Youtube Channel is where we like to talk about books and what we’re currently reading along with other challenges and book related goodness! #OwnVoices rep, LGBTQ+ (particularly Ace! ), Fairytale-Retelling, boarding school, witches, social media (eg. Youtube star), feminism, female friendship, magical tournament. I just wanted you to know that I’ve nominated you for the Versatile Blogger Award! I nominated you two for the Liebster Award. Hey! I’ve nominated you for the Liebster Blog Award! I love reading your posts and thought you deserve it 🙂 Check out this link for more information https://writtenwordworlds.wordpress.com/2015/04/06/liebster-award/ I hope you’re having a great day! I just popped over to tell you I’ve nominated both of you for the Creative Blogger Award! Hi there, I see you have already been nominated for the Liebster Award, I nominated you again. I won’t mind if you don’t do it again! Hi Maddie and Bee! I think your blog is amazing so I nominated you for Liebster Award 🙂 check out my blog for details.